The US Army Corps of Engineers conducts annual maintenance dredging for many harbors throughout the Great Lakes. Some maintenance dredging material must be placed in dredged material disposal facilities (DMDF), however the bulk of the material is used for beneficial purposes, such as beach nourishment. Click here for a map showing all of the authorized federal navigation projects in Michigan, most of which require periodic maintenance dredging. Many of these harbors require some of the material to be placed in upland disposal sites and the Corps is always interested in viable placement sites. Concerning the Corps maintenance dredging for the Upper St. Clair River, the material is suitable for upland placement (meeting the existing MDEQ requirement for unrestricted upland placement*), but is not the character or grain size that would allow it to be placed on a beach. Due to the high cost to barge the material to the Lake St. Clair DMDF, the Corps is looking for location(s) such as abandoned gravel pits or other suitable locations within (an approximate) 25-mile radius of the Port Huron area. They are looking to place roughly 100,000 cubic yards (c/y) of dredged material in 2019, with typical annual dredging quantities of ~40,000 c/y. The consistency of this material would be that of wet concrete and may contain additional carriage water that may need to be retained on-site for evaporation. The Corps can cover costs associated with placement at the sites, depending on other transportation costs, with requirement that we dispose of dredged material in the least costly/environmentally acceptable manner. *As of today, there is no state of federal standard for PFAS in dredged material. PFAS is a primarily water-soluble and not known as a sediment contaminant. 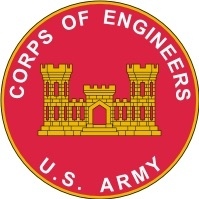 However, as state and Federal standards are being developed, we have no assurance that any of the USACE dredged material will meet future standards for emerging contaminants of concern. Please contact the MAA office at (517) 381-1732 if you have any questions.